Vista Hills III at Bar Nunn is a one stop shop when it comes to new housing. 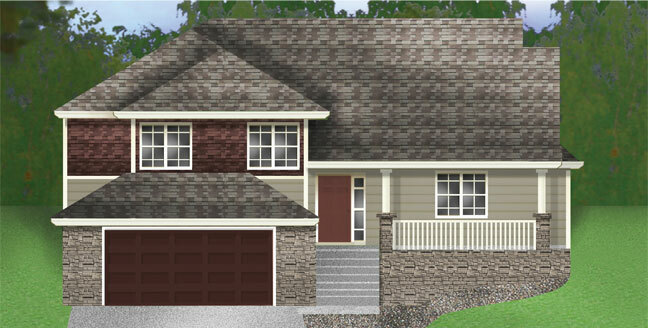 Featuring affordable living, vaulted ceilings, front landscaping and all new floorplans - why consider anywhere else? Vista Hills III qualifies for rural development, zero down financing. It is just a quick drive in all directions from areas such as the airport, downtown entertainment, and east side shopping and restaurants. Call an agent today at 307-234-2385 to discuss zero down financing options and to learn about the great floor plans, amenities and prices that Vista Hills III at Bar Nunn has to offer. Take Salt Creek Highway north. Turn Left on Antelope Drive and continue driving north. Turn Right on Lakota Trail. End at Model Homes on Right.